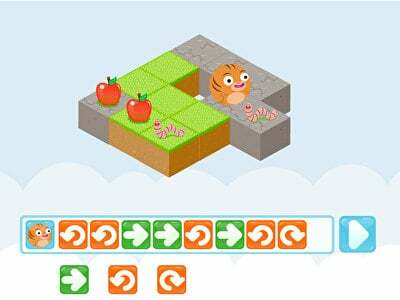 Your child will follow up with this game after completing Coding With Roly. Drag and drop command blocks to navigate Roly to all the apples. 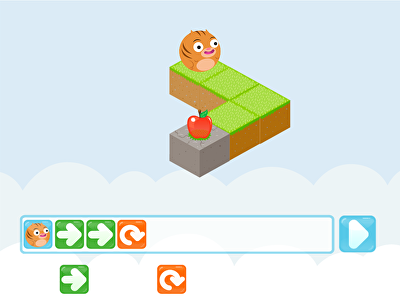 Your child with begin to learn coding by dragging and dropping directional commands. Sequence and move Roly to eat the yummy apples. 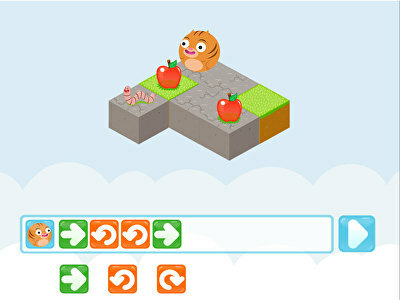 Develop coding skills by helping Roly eat apples. In the final game of the Cody series, your child will learn to problem solve and think ahead. 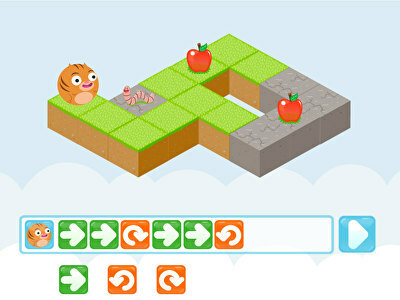 In the third game of the Coding With Roly series, sequence, run, and test code to help Roly eat some delicious apples.